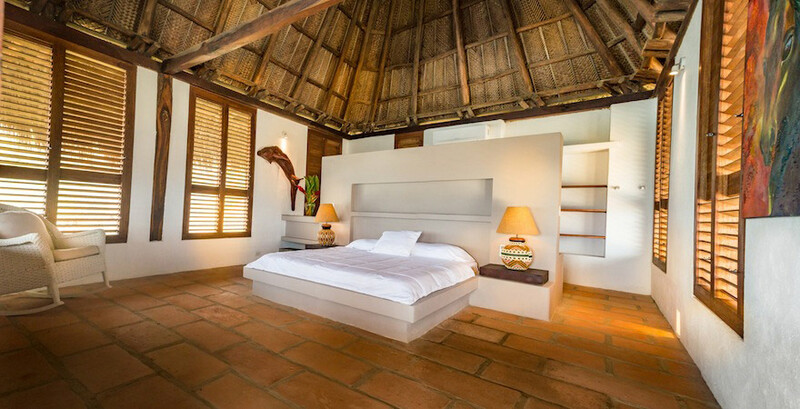 At only 5 minutes by car from Tayrona park the exclusive house is possibly the most special place in all Colombia. The natural environment of Los Naranjos beach, where the river Piedra ends, make it a place of magic and harmony. Making a turn at 360º the only thing you see is nature, one side is the beach with its spectaculars sunrises and the beauty of its sand. The Piedra river path through the jungle to lead you to the beach creating a dream place. It's highly recommended to have a bath in the afternoon taking advantage of warm water currents of the Piedra river. The house is particularly enjoying an incredible ocean view. 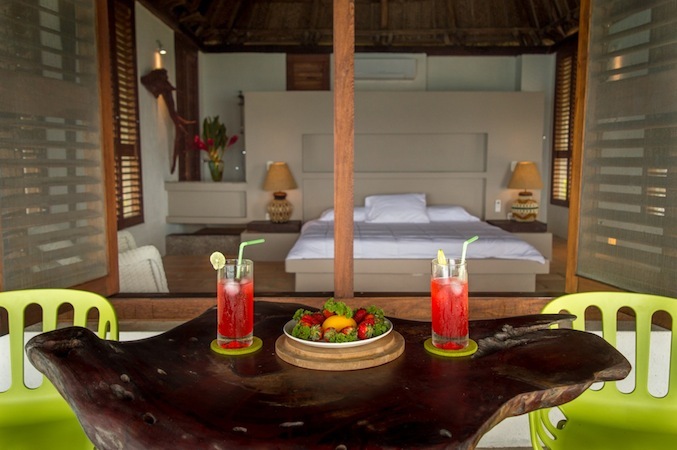 They are few rooms with terrace, sea view, private bathroom with hot water and air conditioning. Accounts with seating areas, swimming pools, restaurant and fridges available. 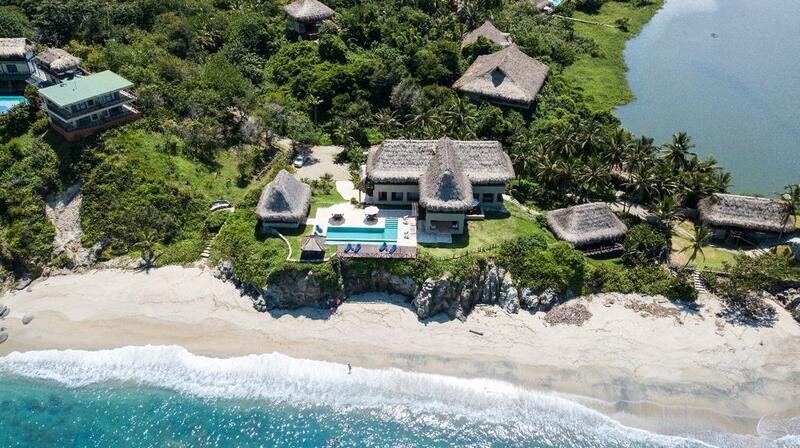 From the house the recommended option is to visit Tayrona National Park. The main entrance of Tayrona park is only five minutes by car, from there you can arrange transportation. The park has the opportunity to walk through the jungle by a well marked path while discovers different beaches. In the main area can meet 7 beaches. Best for swimming are "Las piscina beach" and "Cabo San Juan del Guia" beach. Suites Barlovento also has a restaurant, highly recommended. In the morning can taste typical breakfast of the region and his exotic tropical fruits.Close to the suites you can take transports to find a store. Transportation to Casa Tayrona Los Naranjos can be arranged at the best price so that you can travel comfortably and economically. 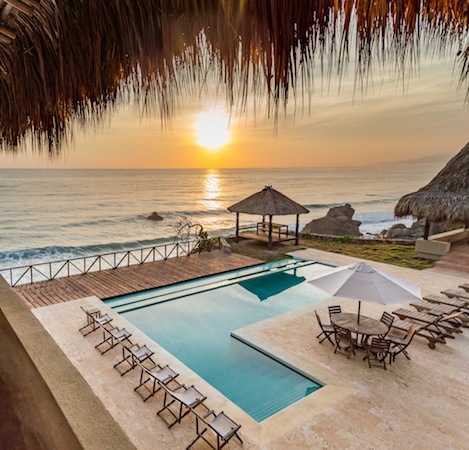 It is located on top of a small hill offering panoramic views of the sea and the town. 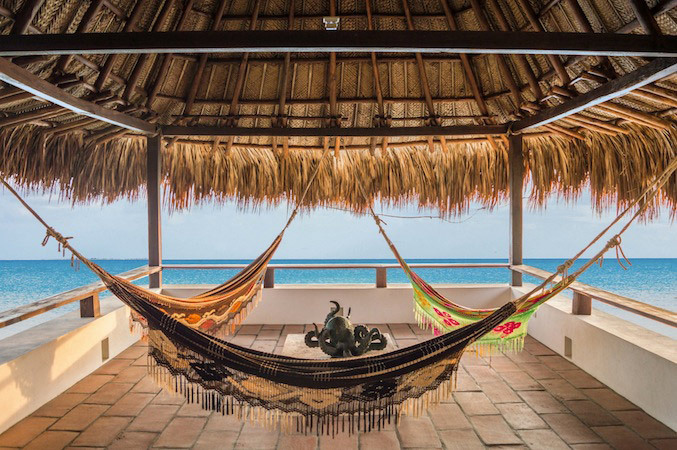 It is a 15-minute drive from Tayrona State Park, and 40-minute drive to Santa Marta.